During a cold dark January five years ago, I began each day at my dining room table with a large cup of tea and a small lump of clay. My beautiful dream studio was an inspirational walk through the woods. Why wasn’t I creating there? But my studio had HUGE piles of sawdust and my studio office had HUGE piles of desk work. I decided to begin the year by catching up and clearing the desk, maybe even taking a short break from the sawdust yet I couldn’t not create so this little critter happened beneath the antique chandelier on the carved-by-me deep purple stained dining room table in my tiny little cabin as the moon hung in a fuzzy cold crystalized sky and the sun slept in. 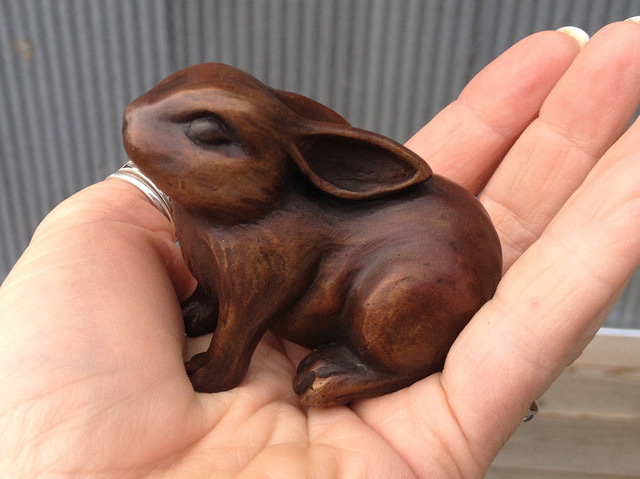 “Wee Bunny” was offered as a gift from me to those of you who, like me, haven’t room for giant tree sculptures in your homes. 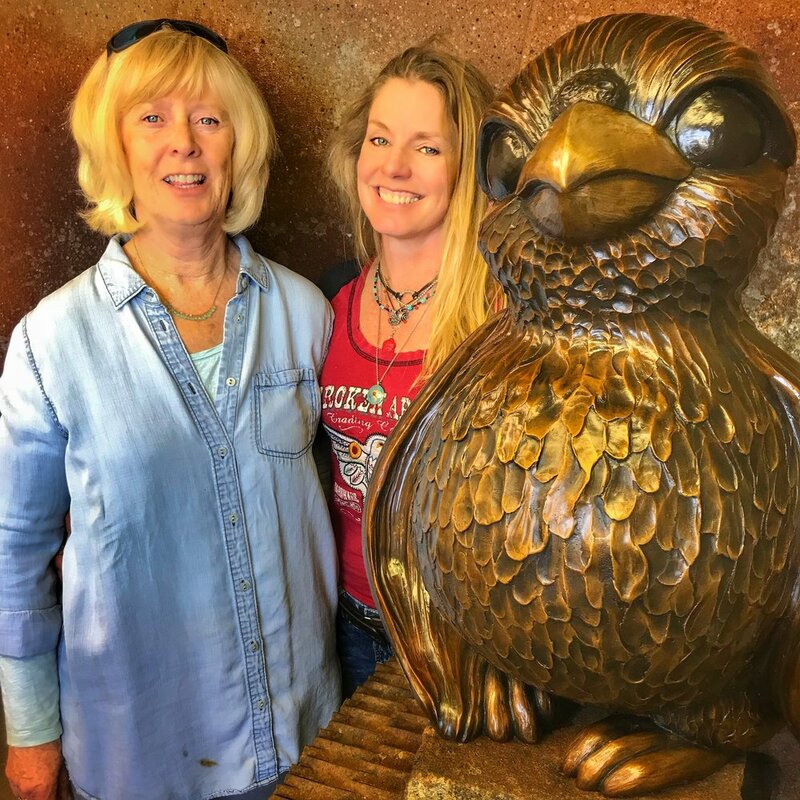 Motivated by the thought of your hands warming the bronze, my desire was to create a palm-size sculpture which elicited an almost instinctive desire to be picked up. Held. Warmed. Loved. My other thought was to create an especially affordable sculpture in an edition size large enough that many of you could have one. One hundred sculptures in the edition - the largest edition I’d ever launched. Yet small enough to be a valuable edition. Only one hundred. The process of bronze casting is labor intensive, a new mold has to be made for each bunny cast. But I kept the price wholesale which meant I had to turn down the galleries that wanted to sell the little bugger. “Wee Bunnies” hopped into homes all over this country and beyond. Only seven bunnies are left…! Certainly the last bunnies will quickly find homes once the announcement is made via social media. If you planned to get a bunny and haven’t, or know someone who should - then act quickly before the edition is sold out. Local peeps - don’t pay shipping charges. For LOCAL DELIVERY enter CODE: postfree at checkout. Shipping charges will be removed. We will be in touch with you for delivery or pick up. I wonder who will get #100…?